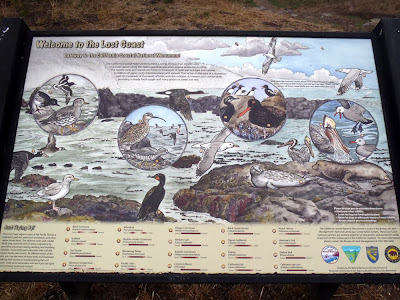 The Lost Coast is a rugged wilderness stretch of California's coastline. It is so rugged that California's Coastal Highway 1 bypasses it. 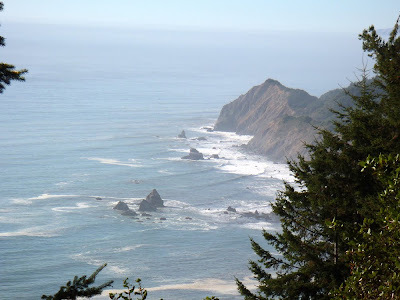 Many travel from all over to backpack into its remote wilderness and to admire its dramatic scenery of sheer coastal cliffs, black sand beaches, old growth Douglas Fir trees, groves of Redwoods and SURF. Clear days on the Mendocino Coast afford us views of the Lost Coast where the steep mountains meet the sea. Each time we drive north on Highway 1 before the road diverts inland, we pull over to admire this stretch of coastline and dream of exploring it. Our friend Hawk Martin of Humboats in Eureka has views of the northern portion of the Lost Coast from his home waters in Humboldt County. 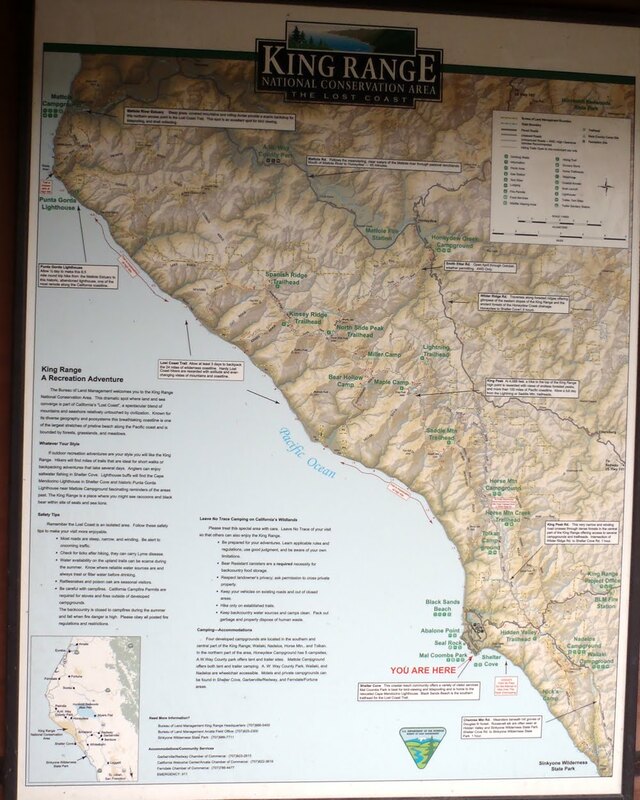 Many discussions have occurred among the 3 of us about sea kayaking and exploring along the the Lost Coast. This fall we found ourselves carving out some time for a trip to the Lost Coast. This was a challenge as we work hard to keep our heads above water in a struggling economy. Days off mean no income. But days off also mean rejuvenation. 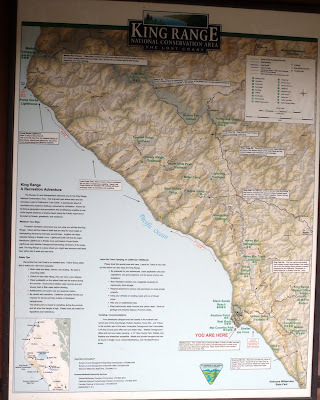 This particular trip will also lead to more trips and possibly guided trips of the Lost Coast with Liquid Fusion Kayaking and Humboats. Stay tuned for our photo gallery and more about our hiking and sea kayak exploration of the Lost Coast (no mountain biking on this trip - darn guess that we have to go back).